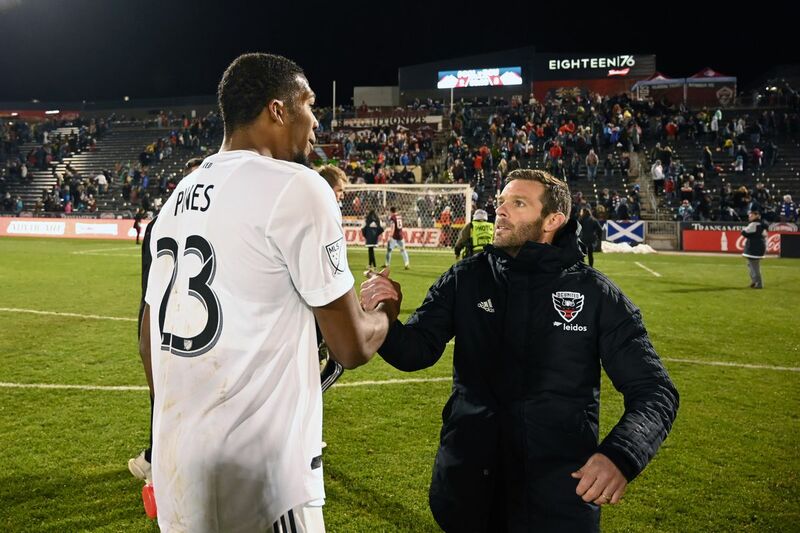 Just four months after leading Maryland soccer’s defense to a national championship, Donovan Pines made his MLS debut for DC United on Saturday night. The homegrown 6’5 defender turned in an impressive performance in United’s 3-2 win over the Colorado Rapids. He was tasked with marking Colorado’s Kei Kamera, the fifth-highest scorer in league history, and helped kept him off the scoreboard. Pines was accurate on 90 percent of his attempted passes, recorded six headed clearances and registered this assist to Luciano Acosta. Pines started the season at lower-level Loudoun United, but an early-season slew of injuries on the back line forced him into the D.C. starting lineup, and his performance Saturday showed he’s ready to step into a more regular role. United (4-1-2) hosts New York City FC on Easter Sunday. Maryland men’s lacrosse fell five goals down to Rutgers last night, but roared back for a 16-13 win. Baseball took two out of three in a high-scoring series at Northwestern, winning Friday and splitting a doubleheader Saturday. Softball grabbed a win against Indiana, but the Hoosiers won the series and outscored the Terps 21-5. Tennis’ brutal season continued with home losses to Michigan State and Michigan. In better news, Maryland football has the second commitment in its 2020 recruiting class, as the Terps landed a pledge from local three-star receiver Corey Dyches. Track and field saw another school record fall during a busy weekend. And if you’re anything like me and couldn’t take your eyes off Tiger Woods at the Masters yesterday, my two favorite pieces (so far) about his crazy-in-so-many-ways victory come from CBS Sports’ Kyle Porter and The Washington Post’s Thomas Boswell. MM 4.25: The Darnell Savage NFL draft-day mock roundup This is the Maryland Minute, a short story followed by a roundup of Terps-related news. Podcast: Breaking down Maryland basketball’s latest roster shuffle Plus football commitments, lacrosse wins, a new wrestling coach and more. Maryland basketball to host George Mason as part of nonconference schedule, per report The Terrapins add their second Atlantic 10 opponent to the 2019-20 slate. Catching up with Maryland football’s assistant coaches Members of the Terps’ new staff discuss their hiring process, adjustment period and more. After an up-and-down college career, Byron Cowart could hear his name in the NFL Draft The defensive end has drawn some seventh-round projections after reviving his career in College Park.